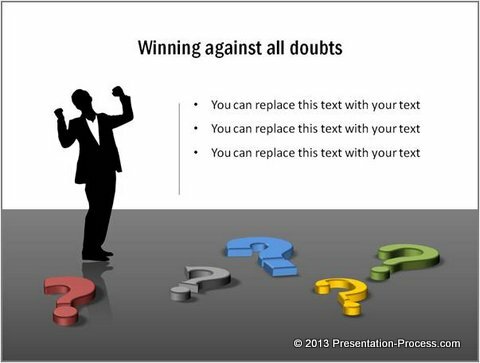 Here are some creative uses of question marks you can use in your business presentations. Get inspired to create your own variations. With a bit of imagination and creativity you can make your business slides truly interesting by using simplest of design elements. 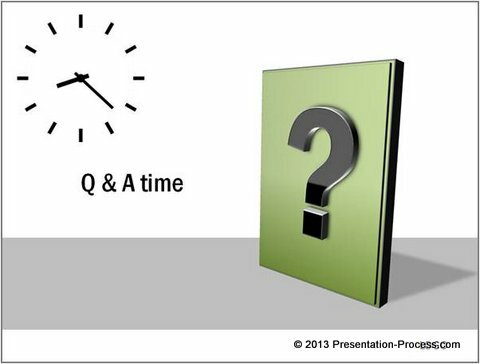 In this article, we will show you ways to use a simple question mark to visualize some interesting business concepts in PowerPoint. Here we used question marks as hooks on a 3D style pipe. The text box attached to the hook serves to answer the question. 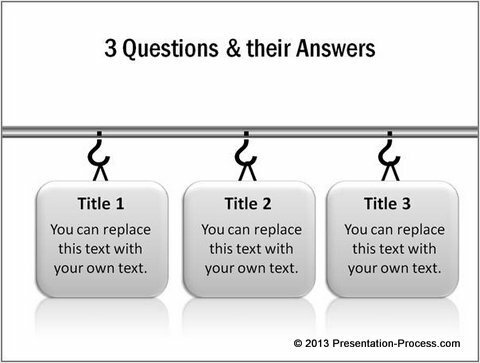 When you want to structure your presentation as a series of questions and answers, the following diagram template can serve as your agenda slide. 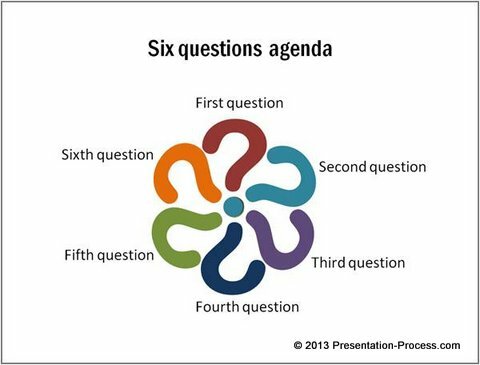 The six Question marks constitute six section headers of the presentation. The question marks are color coded to carry the theme forward. Here each of the question marks represents ‘criticism’ or ‘doubt’. We used different fonts for question marks to represent different types of criticisms. The silhouette of an achiever indicates ‘winning against all odds’. The above diagram template shows the concept of overcoming odds along each step of the way to become No.1. As they say, “Creativity is about seeing ordinary things in uncommon ways”. When you are creative, even the most mundane things can transform into stunning design elements. That is why at Presentation Process – we believe that the most important ingredient in creating visual slides that grab and hold audience attention is not your PowerPoint skill but your creativity. It is not always easy to be creative when you are pressured by demanding deadlines. 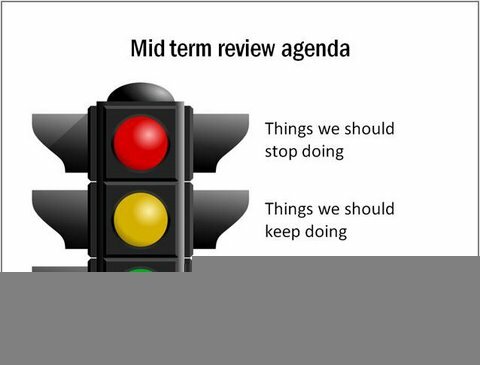 Since most business presentations are created under unreasonably short deadlines – presenters end up creating slides that are easily forgettable. If you are a busy business presenter who doesn’t have time to create professional quality graphics that are truly creative, we have a solution for you. 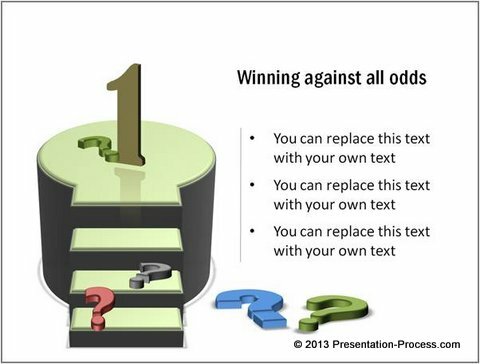 We recommend you take a look at our PowerPoint Charts and Diagram Templates packs for CEOs. The two CEO packs have more than 1600 premium charts, graphs, graphics and diagrams to help you visualize every business idea imaginable.